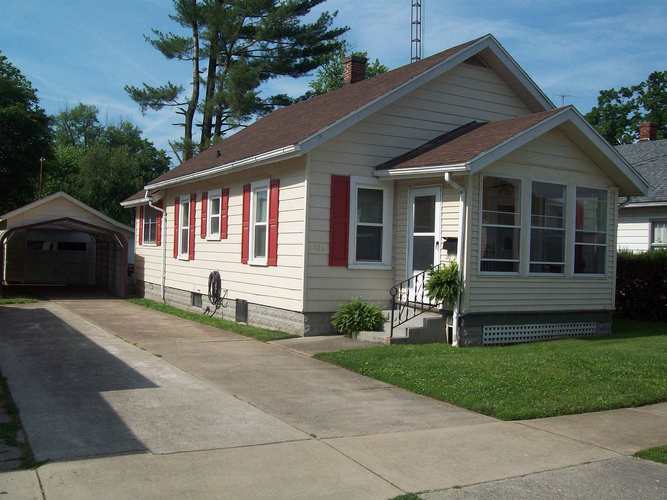 Well maintained 3-bedroom, 1-bath home with a detached 1-car garage and a full basement. 1 car detached carport and concrete drive a large yard barn for additional storage. The dining room in this home could be used an additional fourth bedroom or an office. Beautiful kitchen and lots of new wood floors. This home is on 3 lots 2 are chain linked fenced. Nice enclosed front porch.